The slowdown contagion seems to be spreading fast in Punjab. Even the robust and peppy Ludhiana realty market has been inflicted with it. While it was the only city in the state that had bucked the downward trend during the sluggish pre election days in the last few months of 2011, the property scene here has been stagnating and slow in the first half of 2012. Though the property prices have not fallen significantly, there is not much happening on the sale and purchase front. Paying attention to small things during the construction of a house can fetch valuable gains in the long run in terms of more strength and durability. A house builder shouldn't become lax or disinterested during the construction period which may extend to 18 or more months. Rather one should rather feel joy in making every improvement, big or small, during the construction of one's house. Here are some areas that if ignored during construction can lead to a lot of inconvenience later. Is Will on an inland letter legal? Can I buy the house from spouse? Can my wife claim exemption? Living In Style, Mumbai has launched Matrix collection in a whole new range of luxurious contemporary furniture to lend a dramatic touch of elegance and timeless appeal to your bedroom. Imported from Camel Group Italy, the new collection has a whole range of bedroom furniture featuring wardrobes, dressing tables, mirrors, beds, night tables, chaisrs, pouff, etc starting at Rs 60,000 onwards. This collection has laminate, Italian HDF board with beech wood framing and PU moulds. 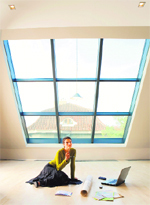 Are you planning to buy your home in the near future? If yes, then you should know the exact meaning of terms like carpet area, built up area, super area otherwise you can be fleeced and will end up paying more than the actual cost of a property. The slowdown contagion seems to be spreading fast in Punjab. Even the robust and peppy Ludhiana realty market has been inflicted with it. While it was the only city in the state that had bucked the downward trend during the sluggish pre election days in the last few months of 2011, the property scene here has been stagnating and slow in the first half of 2012. Though the property prices have not fallen significantly, there is not much happening on the sale and purchase front. As the realty market in this industrial hub is primarily investor-driven, the current lack of interest being shown by investors has brought about a lull in the overall scene. The new investors have pulled the breaks while those who were already on the scene are sitting tight in the hope of an upward thrust in prices sometime soon. "It is the genuine buyer or the end user who is active in the market at present if we consider whatever little sales are happening", says Rajinder Soi, of RPD consultants. Property prices had seen some boost before the Assembly elections as many people had invested in real estate in the hope of getting good returns once the Congress came to power. But this move backfired as the Akalis came back with a thumping win. 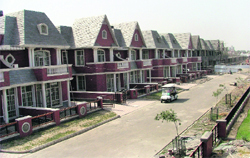 The realty market in Ludhiana is still trying to recover from this shock, says Soi. The commercial and financial hub of Punjab has always been high on the radar of major realtors because of its vast pool of HNIs and increasing demand for international standard living spaces. The city has seen population growth of around 15 per cent in the past 10 years thus increasing the demand for residential units. Apart from this a huge floating population of workers and executives also bucks up the need for good rental space. So, the Manchester of India has vigorous demand for quality housing. The presence of Omaxe, IREO, Ansals, Vipul, AerenR bears testimony to this. All these groups have ambitious world class residential as well as commercial projects planned or coming up in the city periphery areas. With the slowdown effect trickling down to many of these projects in the form of slower sales and slack customer response, the main concern is whether the city will have a huge inventory overhang in the next few months. The commercial scene too, doesn't paint a pretty picture if one looks at the various mall projects in the city. While many will cite the success of malls, especially those on the Ferozepore Road and in the catchment area of posh Sarabha Nagar, BRS Nagar localities, the business front is not very bright in these high end shopping hubs. Those on the NH1 towards Jalandhar have not elicited the expected response as of now. The much-hyped Gold Souk and Big Bazaar complex is yet to become a bustling business plaza. "The main reason for this lacklustre scene in these malls is the overall low economic scenario even though the area has immense potential. A favourable turn of events will see the fortunes turning in this particular pocket", says the spokesperson of a major real estate group that has deferred its plans to launch a project in this area for the time being. 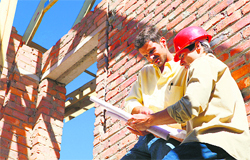 The prices in the residential segment have maintained an even keel in the past eight to nine months. The current rate in Sarabha Nagar area is Rs 80,000 to Rs 1,00,000 per sq yard, Rs 60,000 to Rs 80,000 in Rajguru Nagar and Rs 50,000 to Rs 60,000 in BRS Nagar. On College Road the current prices are around Rs 1 lakh per sq yd for commercial property and Rs 60,000 to Rs 70,000 per sq yd for residential property. But in all these upscale areas very little space is available and only a handful of properties are on offer that's why the prices are very high and much beyond the reach of even the upper middle class buyers, says Rajbir Singh, a local property consultant. While within the city the realty market is basically a secondary market, it is the periphery areas that have ample choice for investors as well as those looking to move to better living conditions. Plots, villas, independent floors form a major chunk of the choices in the residential segment meant basically to cater to the demand here. "A large number of buyers in Ludhiana look for spacious and independent living spaces of international standard, " says Chandan Singh, Executive Director of Aeren R group. The group's new township project is based on the Beverly Hills concept in which each 500 sq yd house will have a 100 sq yd open green area exclusive to it. A sparkling lake with a clubhouse is the USP of IREO's Waterfront township and Omaxe group has a mix of apartments and independent floors in its Royal Residency project, on Pakhowal Road which also has ample provision for green areas. The demand in housing segment in the city has appreciated over the years and thus most of the approved projects of big developers have got good response. While the Omaxe group has handed over the possession of Royal View Homes in its Royal Residency project on the Pakhowal Road and have sold out almost 60 per cent units there, IREO too is claiming over 50 per cent sale in its Waterfront project on the Sidhwan Canal road, Eldeco’s Mayfair Villas project on Jalandhar bypass, NH I is also almost 50 per cent sold out. Delhi-based AerenR group that has a 161-acre township project and a 16-acre commercial complex coming up along the NH I too are expecting a good response when the project will be launched in about three months time. "The market may be slack at the present but investors are keeping abreast of the new projects, and there is ample interest in these. We get around 150-200 queries in a month about the residential and commercial spaces that will be offered in our mega city", informs the marketing head at the group's Fortune R City office in Ludhiana. While the sector is feeling the heat this June, realty experts in the city feel that the market sentiment will improve by September and the festival season would see the Ludhiana realty mart brim with buyers and more deals. "The market economica of this area are pretty strong and moreover it is difficult to keep the Punjabi spirits down for long so by festival season buyers will be back in the market", says Soi. While big developers are coming up with high end premium projects, the high prices quoted in these fully approved projects make these out of the reach of common buyers and small investors. Catering to the needs of this segment are certain local players and small builders who offer plots on much cheaper rates. And this has given roots to the trend of unapproved colonies. A startling fact that has come out in the open is that there are over 1,000 (2,000 as per unconfirmed sources) illegal colonies in Ludhiana in whch at least 60,000 to 70,000 people have invested money. The price of plots in these colonies is in the range of Rs 4,000 to Rs 11,000. But as these colonies have no approvals the fate of investors' money hangs in the balance. The small colonisers have approached the government with a plea to charge EDC and CLU from buyers and regularise these colonies. Please note : These rates vary with plot's size, approach road, location such as facing park and corner etc, and subject to change from time to time. Sanitary and rain water pipes are embedded in the walls during construction. Actually, the masons extend the masonry up to a certain point, leaving a space of a few inches between the masonry and pipes as it is not possible to make the masonry abut the pipes due to the standard size of bricks. One must see that this void around the pipes is filled with concrete and not with mortar or brick pieces later. Filling the gap with mortar or brick pieces will create weak zones in the walls. The concrete to be filled should be prepared by using 10 mm size aggregate. Once the brick masonry is raised to the roof level, the masons and other workers get busy in doing shuttering for the slab and beams, followed by laying of steel, concreting of slab and such activities. The shuttering below the slab remains intact for two weeks. During this period, the brick masonry loses moisture and dries up. This results in the appearance of a white layer of efflorescence on the bricks surface. This efflorescence occurs in all new buildings and should be dusted off by using a brush or a broom. After brushing off the efflorescence, water should be applied to the brick masonry and again the walls should be allowed to dry out. This will allow more of the alkalis to come out in form of efflorescence. Dust it off again. This cycle should be repeated till the efflorescence becomes negligible. This will help in reducing the problem of efflorescence at a later stage. Workers have a tendency to apply the shuttering oil liberally on the shuttering plates as they want to face least problem in removing plates after two weeks. Application of too much oil is not good from the plastering point of view. Such oily surfaces don't grip the plaster which starts peeling off after sometime. Therefore, see that the mould (shuttering) oil applied to the plates is bare minimum. In the slab shuttering, whether of steel or wood, gaps between adjacent plates exist which allow the cement slurry to seep through them. Before laying steel on the plates, affix brown paper tape all along the plate joints. As the plates are normally 4 ft long and 2 ft wide, many rolls of tape may get consumed but don't bother about that. The cost of the rolls consumed is very small. More important is to save the important cement slurry from seeping through the crevices. Whenever rectangular beams projecting down from the slab bottom are planned to be provided, one must provide bed plates below the ends of the main beams in case the beam ends are resting on walls. These bed plates allow better bearing power to the beams and help in the smooth transfer of load to the walls below. When the masonry work for ground storey is in progress, many pipes are embedded in it. These include rainwater pipes, sanitary pipes and 50 mm diameter conduits for split air conditioners. Decide the location of these pipes very carefully by viewing the layout of upper level floors. The pipes shouldn't interfere with any doors or windows for upper floors nor should these interfere with the beam support areas of upper slabs. If it happens, either the pipe will become dummy or the upper level design shall have to be revised. Wherever a common wall occurs between two houses and one house has already been constructed, the second house builder has to chisel out the masonry at slab level to provide sufficient bearing to the beams and slab of his house. It should be seen that the required chiseling has been done to provide half wall bearing to the slab and beams. Often, the workers shy away from this difficult work. So be very vigilant. Secondly, after the laying of slab concrete, the recess made should be filled immediately with concrete, well finished and and rounded off. On drying, it should be painted with water-proof paint. This will help in avoiding any leakage of water at this joint. After the laying of slab, a water pond should be created on its top. This is the best and easiest method of slab curing. The final setting time of cement is 10 hours maximum. However, the cements produced these days have a final setting time of just 5 hours. Therefore, curing of slab can be started just after 7 to 8 hours of slab laying. One shouldn't allow days to pass before start of curing. While the concrete slab can be well cured by creating a water pond over it, the inverted beams projecting above the slab surface remain without curing and become weak. Arrange empty jute bags to cover the beams and keep these jute bags wet by frequent sprinkling of water. These bags retain moisture for a longer time and sufficient curing of concrete in beams can be achieved. Use of steel shuttering plates for the laying of RCC slab and beams is common these days as these plates don't allow the cement slurry to leak and provide a solid support to concrete. Wooden planks, if used, have many disadvantages as these draw water from concrete, can give way during concreting work and leave an uneven ceiling, thus demanding a thicker plaster. Steel plates often produce a smooth surface which should be hacked or roughened well before taking plastering work in hand. Hacking is to be done manually. Otherwise one may go for sand blasting of slab surface. Sand blasting is cheap and takes just a day for a house's slab and gives a satisfactory rough surface. The sand-blasting person must be trained in the work and shouldn't allow the steel of the slab become visible. Masonry walls are mostly 9 inch thick. In such walls, one face of the wall is smooth while the other is rough. Smooth face demands just one coat of plaster while the rough face demands two coats of plaster. In two coat plaster, the first coat is called under coat and second coat is called final coat. Always see that the first coat of plaster is well roughened before applying the second coat of plaster on it. This will ensure better bond in two layers of plaster. Special attention needs to be paid to the edges and corners during the plastering work. These must be sharp, straight and in plumb. Whether an edge has been finished as sharp, straight and in plumb can be judged only by watching it from a distance. So take leave from your work during this activity and personally supervise the plastering work. This is important because a defective edge or corner can be best rectified when it is being finished and not at a later stage. Take care of these points and happy building! Q.My father sacrificed his life during the Indo-Pak conflict in 1965. The Rajasthan Government had allotted a 25 bigha (15.5 acre) of agriculture land to my mother in Rajasthan. In 1965 my eldest sister was married and was not dependent on my father. In July, 2006 my mother made a registered Will in favour of my elder brother for the entire land under pressure, which she cancelled later and made another Will in favour of all her children (two sons and two daughters). This Will was also registered in March, 2007. However, in October, 2008 she made another Will on inland letter mentioning that her earlier two Wills should be considered cancelled as she was making a third Will in favour of her two sons. At that my mother was living with my sister in Haryana. The Will, which was written on an inland letter, was sent to me at Jalandhar by registered post by the custodian and it was witnessed by two other persons after the death of my mother in the first week of February, 2009. My query is whether the third Will shall supersede the other two Wills and be valid for getting probate from the court of law? Can my eldest sister, who was married and not dependent on my father at the time of the allotment of the land, contest the Will? (a) The testator should sign or should affix his mark to the Will, or it should be signed by some other person in his presence and by his direction. (b) The signature or mark of the testator, or the signature of the person signing for him should be so placed that it would appear that it was intended thereby to give effect to the writing as a Will. (c ) The Will should be attested by two or more witnesses, each of whom has seen the testator sign or affix his mark to the Will or has seen some other person sign the Will, in the presence and by the direction of the testator, or has received from the testator a personal acknowledgement of his signature or mark, or of the signature of such other person; and each of the witnesses should sign the Will in the presence of the testator, but it would not be necessary that more than one witness be present at the same time, and no particular form of attestation shall be necessary. The third Will executed on an inland letter does not seem to be in accordance with the aforesaid rules. It may therefore, be difficult to get the same probated. Date of conveyance deed executed November 2011 on which stamp duty of Rs 58,625 and registration fees of Rs 10,000 paid. b) How much will be the long-term capital gain? c) How much amount I have to spend in buying a residential flat so that my tax liability is nil. 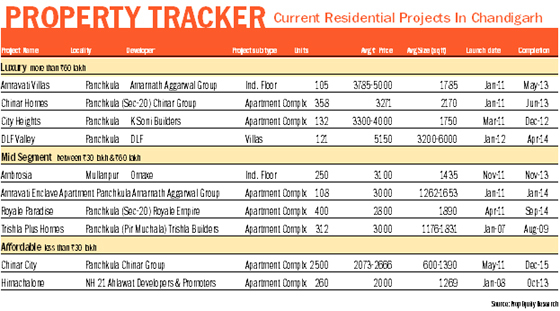 (a) The indexed cost of the plot would be Rs 16,21,776. (b) The amount of long-term capital gain would work out at Rs 26,53,224. (c) You will have to utilise the entire amount of Rs 42,75,000 for the purchase of a residential flat so as to save the income-tax leviable on the long-term gain of Rs 26,53,224. Please note that the residential house will have to be purchased within two years of the date of sale of the plot. In case the amount of Rs 42,75,000 is not utilised fully or is utilised partly towards such purchase on or before July 31, 2012, (being the due date of filing the return of income for financial year 2011-12) the full amount or the balance amount, as the case may be, will have to be deposited in a bank account under capital gain scheme so as to save the income-tax leviable on a long-term capital gain. The amount so deposited can be utilised towards the purchase of a residential house within the period as mentioned earlier. Q.Please advise whether it is possible to take income tax rebate on the housing loan that has been taken by my wife but the EMIs are being paid by me from my salary. Can I buy the house from my wife and avail housing loan facility, and further can I take income tax rebate on the interest of the loan amount and installments to repay the house loan amount. The testator should sign or should affix his mark to the Will, or it should be signed by some other person in his presence and by his direction. The signature or mark of the testator, or the signature of the person signing for him should be so placed that it would appear that it was intended thereby to give effect to the writing as a Will. The Will should be attested by two or more witnesses, each of whom has seen the testator sign or affix his mark to the Will or has seen some other person sign the Will, in the presence and by the direction of the testator, or has received from the testator a personal acknowledgement of his signature or mark, or of the signature of such other person; and each of the witnesses should sign the Will in the presence of the testator, but it would not be necessary that more than one witness be present at the same time, and no particular form of attestation shall be necessary. The third Will executed on an inland letter does not seem to be in accordance with the aforesaid rules. It may therefore, be difficult to get the same probated. Deduction in respect of payment of the principle amount can be claimed by a person who is the owner of the house and who has been granted the loan by an institution for the purchase or constriction of a residential house. In view thereof, you would not be entitled to claim such deduction in case house is owned by your wife and loan also had been obtained by her for the purchase or construction of the residential house. You can definitely buy the house from your wife. The transaction, however, would involve the payment of stamp duty on the sale of such house. Capital gain arising on such a sale would also be exigible to income tax. You should be able to avail loan facility for buying a residential house. However, it would depend upon the bank and in case you are able to obtain such facility, the deductions in respect of interest and installments towards the repayment of loan would be allowable subject to compliance with the provisions of the Act. A.You can seek time to the read the loan agreement before signing it. Though this may seem difficult, as a loan agreement is usually a bulky document running into several pages. But this is important. No matter what you verbally agree with the lender's representative while negotiating a loan, it would not be legally binding unless it is validated in writing in the home-loan document. In practice, home loan companies may ask you to sign a blank loan document while taking a home loan to speed up the processing. The details may be filled in later and sent back to you by post. But you can ask to read a draft agreement before you signing it. Also be sure to check the details filled in your loan document as soon you receive the final version, to make sure that the terms are the same as the ones you agreed to. Finally, when in doubt, protest. If you find any revision in interest rates or changes in the terms of your loan, get in touch with your home loan company immediately to clarify the issue. A.The RBI recently brought in a ruling that will be considered effective from February this year, to stop property values from being inflated. According to the new rule, stamp duty, registration and other taxes such as VAT and service tax will be excluded when the value of a property is considered for determining the loan amount. Now, this means that borrowers need to pay it as part of their down payment. This news, however, should not be taken in the negative light by the borrower. It's actually a blessing in disguise. Because, the more the down payment, the lower will be the loan amount and interest cost. In fact, borrowers should strive to increase the down payment as much as they can. This will not only help them save on interest cost, but will also reduce the time to repay the loan. 1. Is my wife also eligible for income tax exemption for the repayment of home loan amount (principal and interest)? 2. If not, how can she claim exemption now? A.1. Your wife can claim income tax exemption if she is also the co owner of the property in question. If joint home loan takers are also joint owners of a property, the income tax benefit is available to both in the proportion in which they pay the EMIs. If you are the only one repaying the loan, then you can claim the entire tax benefit yourself (provided you are an owner or a co-owner). As a rule of thumb, more EMIs should be paid by the person whose income is higher — this results in maximising the tax breaks. However, we also need to consider the other investments made under Section 80C by each one of you.Tax benefits are available to people taking join home loans only if the property is also registered in joint names. Thus, in your case , since the house is only in your name, you are right in claiming all the benefit for only your self. 2. Your wife is not entitled to take any benefit of income tax. Constant arguments with known people (partner, spouse etc.). Behavioural or educational problems in children. Stale, lack of motivation or direction. One instant remedy that you can try is: Break one water filled coconut on the front gate of your building on Saturday and distribute ‘prasad’ to workers and customers every Saturday. A.Taking a compass of at least 2 inch diameter in hand 360 degree round scale will have to be seen. In the compass ‘N’ means North and ‘S’ means South and accordingly ‘E’ means East and ‘W’ means west. ‘SE’ means south-east, ‘NE’ means north-east, ‘SW’ means south-west and ‘NW’ means north-west. In this way line has expanded to 8 directions from the center. Any two middle angles of these will be 45 degree. Just stand in your home and direct the compass towards the rising Sun. It will show the eastern side. Living In Style, Mumbai has launched Matrix collection in a whole new range of luxurious contemporary furniture to lend a dramatic touch of elegance and timeless appeal to your bedroom. Imported from Camel Group Italy, the new collection has a whole range of bedroom furniture featuring wardrobes, dressing tables, mirrors, beds, night tables, chairs, pouff, etc starting at Rs 60,000 onwards. This collection has laminate, Italian HDF board with beech wood framing and PU moulds. It offers various options in headboards like headboard in ivory ecoleather quilted in traditional capitonne' with buttons; headboards in black, pearl-white or ivory and brown ecoleather vertical double stitches and original Swarovski crystals and Ivory ecoleather Boiserie Maxi Capitonne' headboard with Led lights. The night tables are equipped with 'blum motion' soft closing metal runners that allow the drawers to be opened and closed silently and effortlessly. The vanity dresser comes with curved top and jewellery drawer with chromed drawer front along with round pouf. The collection also consists of ivory eco leather rectangular capitonne pouf. There are two types of mirror in this collection - retro mirror to achieve ART Deco look and standard wood mirror. It is the area enclosed within the walls. You can visualise it as the actual area where one can lay a carpet in a house. This area does not include the thickness of the inner walls. It is the actual area that will be used in an apartment/office etc. The term 'Carpet Area', thus, refers to the total usable area within the four walls of an apartment or a commercial space, as the case may be. According to Ajay Agarwal, Director of Avalon group, "To know the carpet area, measure the area of each bedroom, dining room, living room, kitchen and toilets and add them up. Now add half of the area of the terrace and area of any common passage to this total. This is the actual usable space or carpet area of the house you are buying". This refers to the entire carpet area along with the thickness of the external walls of the apartment. It obviously includes the thickness of the internal walls and the columns, if any, lying within the four walls of an apartment. The commercial space is not taken into account in calculating the plinth area. The plinth area along with a share of all common areas proportionately divided amongst all unit owners makes up the 'super built-up area'. At times, it may also include the common areas such, swimming pool, garden, clubhouse, etc. This term is, therefore, only applicable in the case of multi-dwelling units. It is the carpet area plus the thickness of outer walls and the balcony. It is the total space a house consumes. The area of a terrace is usually considered as half of the built-up area. The term refers to the plinth area of an apartment or a commercial unit along with the balconies and other common areas like corridors, staircase, lift room, motor room, security room, meeting hall, gymnasium and an area reserved for indoor games. Remember the area that is sold to a prospective purchaser, be it a residential apartment building or a commercial building, is the super built-up area. The prospective purchaser not only purchases the plinth area along with the balconies but also purchases a proportionate share in all the common areas as mentioned above. "Super built-up area is usually 28 per cent more than the built-up area. The Super built-up area is also known as the Saleable Area", says Sanjay Khanna, Director, Kailash Nath Projects Pvt Ltd. While selling a residential apartment or a commercial space, the super built-up area is always sold along with the proportionate undivided share, right, title and interest in the land on which the residential apartment building or commercial building has been constructed, adds Khanna.